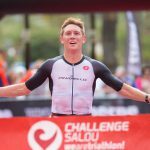 Challenge Salou 2019 is on! Salou, April 5, 2019. 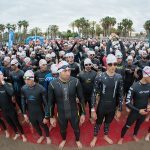 The activities of the 5th edition of the Challenge Salou, one of the most important international triathlon events on the Costa Daurada, are already underway. The Expo at the La Siesta Resort in Salou and the “Meet & Greet” have been the main highlights of Friday. On Saturday, April 6, it will be the turn for the swim test “Open Water”, the 4km family run “Breakfast Run” and the “Junior Challenge”, the foot race of the youngest. Later on, the “Pasta Party” and the “Challenge Women” will complete the offer of activities for the whole family the day before the Challenge. 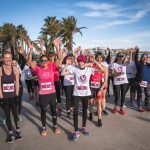 Sunday, April 7, will be the Challenge Salou big day. The event will have a total of 1050 participants who will swim 1.9km, cycle 90km and run 21.1km in HALF and HALF RELAY distances; and swim 1.9km, cycle 60km and run 11km in the SHORT distance. 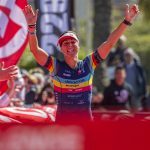 The race will start on Sunday at 08:00 AM and the arrival of the first runner is expected at 11:50 AM at the finish line located in the Plaza de las Comunidades Autónomas, epicenter of the triathlon during the weekend. With a fast 3 laps cycling circuit and a running race along the promenade, the race will not leave any participant indifferent. In addition, the race can be followed on streaming through the official social networks.